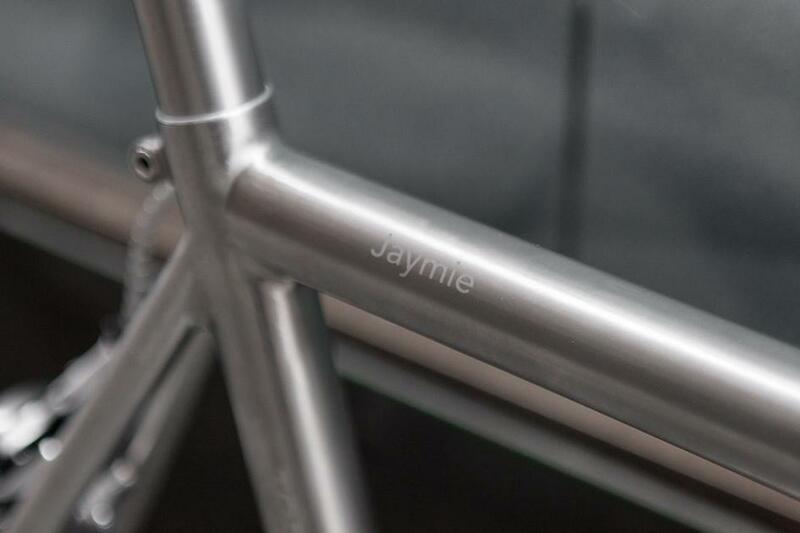 Passoni's made to measure titanium Top Evolution frameset, etched with Jaymie's name, combines modern tubing with classic geometry and a classic seat bolt configuration. 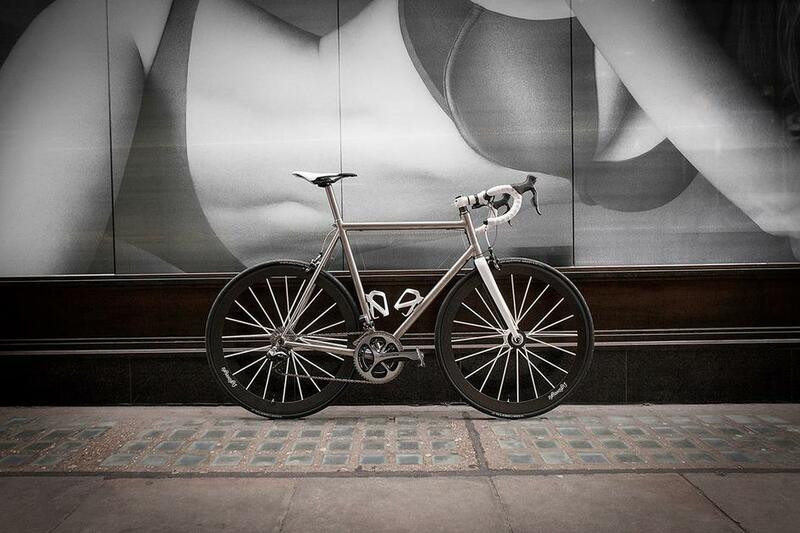 Dura Ace Di2 9070 keeps things thoroughly modern. 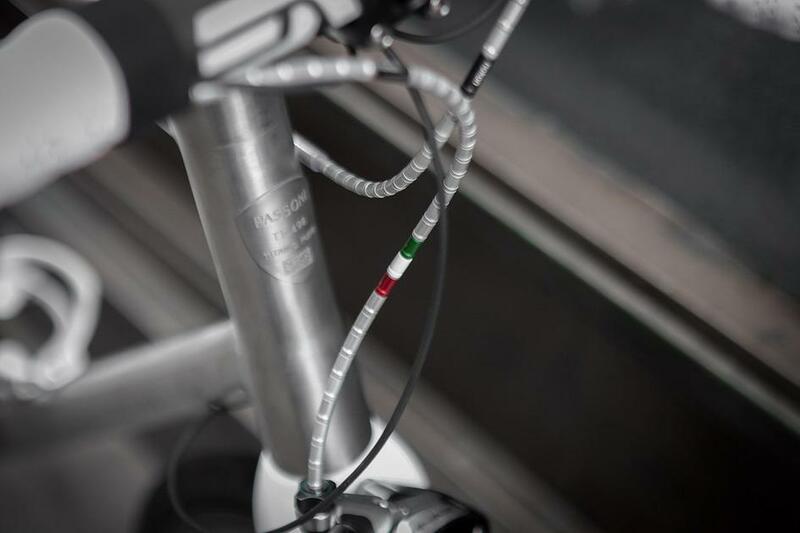 The black and white forks and stem are complemented by the saddle, tape and bottle cages, with the final icing on the cake being the Lightweight Meilenstein Weiss edition wheelset. 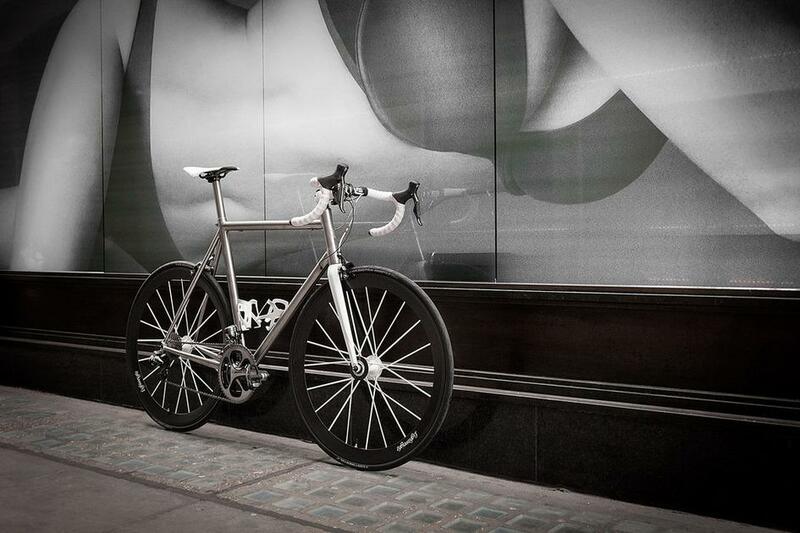 See more of this Passoni build at our Flickr. Photos by Bobby Whittaker.